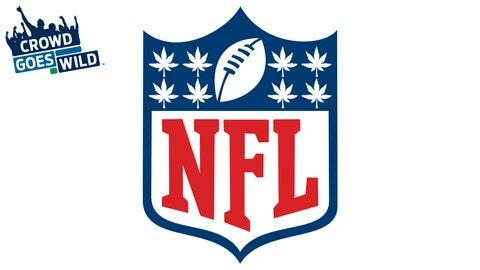 Should the NFL begin to embrace medical marijuana? The NFL is at a crossroads. With its players struggling to deal with pain on a daily basis, many have turned to painkillers and other dangerous methods of self-medication. However, an article by ESPN’s Howard Bryant puts forth a new alternative: Should the NFL start to embrace medical marijuana? The panel on Crowd Goes Wild used this story as the launching point for a debate. The cast seems split down the middle on the issue and it sparked some interesting discussion. You can watch the entire segment above.